Home / Uncategorised / Access Cards – the case for RFID. Access Cards – the case for RFID. Access Cards – RFID security and saving costs. 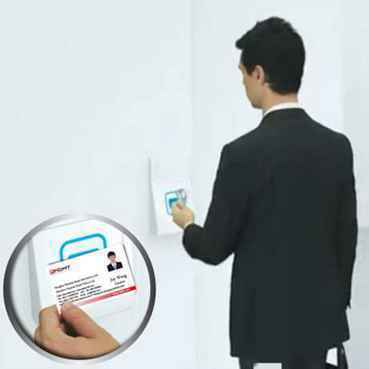 Access cards play an important role in safety and security levels within any company. These cards are used to record an employee’s or access cards clients personal particulars and grant access to certain areas and information within a business. They are also used to provide clients with access to areas such as gyms, libraries and much more. Many companies require access cards to be printed on a monthly basis and need to outsource this service if they do not have a card printer of their owner. Every corporation is always looking for ways to improve the running of their business. Whether it is in regards to their finances, the safety of their staff and clients, or the overall method with which they govern their company, we know that forward thinking will get you far in life. Since the first use of RFID in the 1980s, the corporations have been relying more and more on this technology. Not only does it help to manage their staff, it helps them to keep track of their supply line, and manage everything from afar. There are two main uses of identification cards in the corporate environment. RFID cards are a perfect way to gather information. One of the benefits is being able to pull up information about where certain staff members are at certain times. Also keeping track on what time they arrive or leave the company premises. RFID cards also allow you to gather information about any members you might have. If you run a gym, for example, you will be able to see the days and times that your members generally turn up to your establishment. As well as the average time they spend there. This can help you offer them deals and packages that relate to their own personal gym experience and increase your customers overall satisfaction. Some corporations offer RFID membership cards for other reasons too. They could have started up a scheme whereby points are collected for purchases in certain shops. When the RFID card is used, they will be able to gather information about which shops the customers generally frequent, so that they can build up a better idea of which other industries to partner with. This will also help them to create deals and packages that are suitable for their client base. Safety is an important part of any business. Not only do you need to keep your customers or clients safe, you also need to keep your staff safe. By using an RFID identification card, it will allow you control over the areas that your staff can access. Also denying access to customers or clients on certain areas of your premises. There are many uses of corporate identification cards, especially those with RFID integration. Previous post: ID Cards, do we still need them? 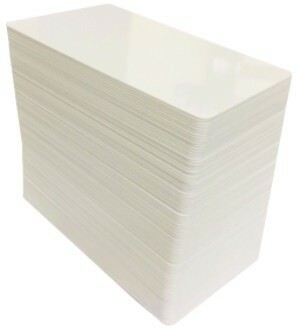 Next post: So what’s the big deal about fake MIFARE RFID cards?